Replacing Your Heater? Consider a Heat Pump! Chances are that you are ready for winter to be over at this point. It doesn’t matter if you like skiing, snowshoeing, ice fishing, etc. Sometimes, enough is enough. And for many, this winter has been enough! The good news is that the worst of the winter weather is likely behind us. That doesn’t mean that there’s not still plenty of cold weather to come before mud season gets underway, though. You need to keep your heater in the rotation for the time being. Posted in Heat Pumps | Comments Off on Replacing Your Heater? Consider a Heat Pump! Is This the Year to Replace Your Heater? Heaters see a lot of action in this part of the country. If your heater seems to be struggling its way through this winter season so far, you may want to start thinking about replacing your heater in Bellows Falls before embarking on another. The last thing that you want to do is to wait for your heater to completely break down before replacing it. Keep the following points of consideration in mind, and contact us if you think the time is right for a heating replacement. Spring will be here soon enough, and if your heater will make it through the remainder of the winter, we can get a new one in place when the weather warms up. Consider your options, and contact us with any questions that you may have. Posted in Heating | Comments Off on Is This the Year to Replace Your Heater? Winter can come pretty early in Vermont, and we’re expecting a messier season than we had last year. If you are planning on getting a new heater in place before temperatures really start to drop, now is the time to act. Nighttime temperatures have already dropped to a point that has many homeowners throughout the area running their heaters, and it won’t be long before daytime temperatures follow suit. A heating replacement in Ludlow, VT is not a service that you should rush into, though. Consider your options carefully before deciding upon which heating system is right for you. If you are on the fence about replacing your heater, here are a few considerations to keep in mind. Is Now the Right Time to Replace My Heating System? Posted in Heating | Comments Off on Is Now the Right Time to Replace My Heating System? 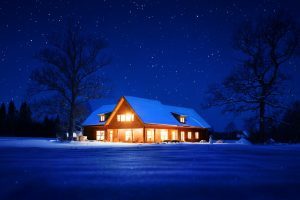 If you’re considering a heater replacement in New Hampshire, then you need to know what’s available to you, as well as what’s best for your home. HB Energy Solutions offers a wide range of heating options to customers throughout the area. We cover all aspects of heating installation, repair, and maintenance. We are a full service heating and fuel company, which means we can cover everything for you. Call one of our New Hampshire heating experts at HB Energy Solutions today! Is it time for a new heater for your home? Let’s take a look at some options. Furnace. The furnace is one of the most common heating options in the Northeast. Your furnace converts energy drawn from a fuel into hot air and distributes the heat through the ductwork in your home. Boiler. The boiler works just like a furnace, but instead of heating air, it heats hot water or steam and distributes it throughout your home by means of baseboard heaters, radiators, or radiant flooring. It can also heat your water, which is an added bonus for many homeowners. Wood or Pellet Stove. A wood stove offers an excellent heating solution to many customers in the New Hampshire area, where wood is a plentiful fuel source. Pellet stoves are another efficient form of heat, and they are also ideal since pellet fuel is available through HB Energy Solutions for customers throughout the area. Pellet Boilers. Available in steel or cast iron and in three sizes, we feature the Pellergy Pellet Boiler here at HB Energy Solutions. They are an efficient and clean-burning heating solution, which burns compressed pellets made form sawdust and sawmilling. Their low moisture content and high density allow for high combustion efficiency. Ductless Split Heat Pumps. As its name suggests, ductless split heat pumps do not use ductwork to transfer heat into your home, but rely on a split system: an outdoor unit and indoor air handler. Ductless systems tend to be highly efficient because ducts tend to account for the majority of heat loss during the winter. Whatever heating option you select for your home, make sure that it’s appropriately sized to match your heating needs. A professional heating installation makes all the difference. Call HB Energy Solutions for all of your New Hampshire heating installation needs.